Karma appeared on Wall Street late Wednesday as Facebook stock plunged 24%, a loss of $125 billion, on the heels of reports of the social media giant restricting conservative traffic by an astounding 93%. Fascistbook’s incompetent Control Freak-in-Chief, Herr Suckitberg, lost nearly $20 billion of his personal fortune in the plunge, according to the most conservative estimates I could find. We at Powdered Wig have been the victim of the un-American, fascist, control freak conduct by Facebook, having seen a drop in our traffic by over 90% since the election of President Trump, who we supported fully from the beginning, since the now-famous escalator ride and the announcement of his candidacy and platform. The tech-heavy Nasdaq was set for a big down day Thursday after disappointing quarterly results from Facebook sent the social media giant hurtling toward its biggest share price decline ever and on trackto lose more than $100 billion in market value. The Invesco QQQ Trust, which tracks the Nasdaq 100 index and can give traders a good idea of how the Nasdaq stocks will trade, was down more than 2 percent at one point in after-hours trading Wednesday. At last count, the ETF was off by about 1.5 percent. Facebook lost about a fifth of its value after hours. Couldn't happen to a more worthless organization. No wonder Herr Suckitberg has been cashing in billions of dollars of stock lately. And Zuckerberg sold huge amounts of stock last month just prior to these earnings announcements. 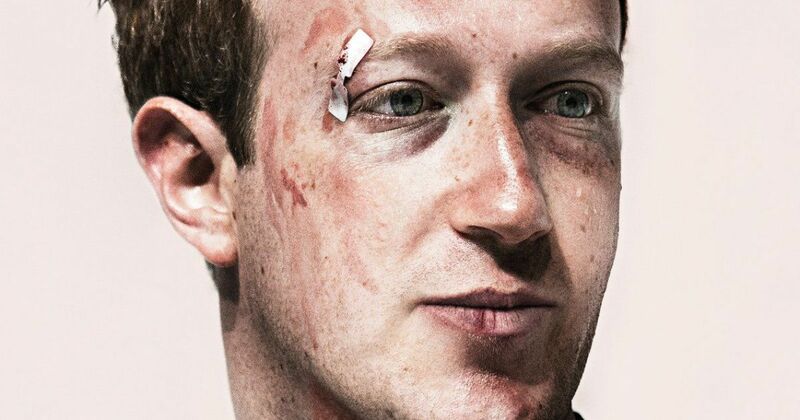 Herr Suckitberg was given the opportunity to fix Fascistbook. He refused. He is only getting what he deserves.